Today, Fossil announces its latest smartwatch simply called: the Fossil Sport. The fitness-oriented Wear OS device will run the latest version of Wear OS with a revamped fitness and navigation UI. It also has Qualcomm’s latest Snapdragon Wear 3100 chip that replaces the far-outdated 2100 chip. The Fossil Sport has a 350 mAh battery and comes in six body colors and there are 28 available silicone strap colors. There are also two sizes 41mm and 43mm with 18mm or 22mm bands, respectively, and the watch cases are made of aluminum and nylon which keeps the weight down. The newly redesigned Google Fit app will be a great companion to the Fossil Sport along with the snappy Snapdragon 3100. 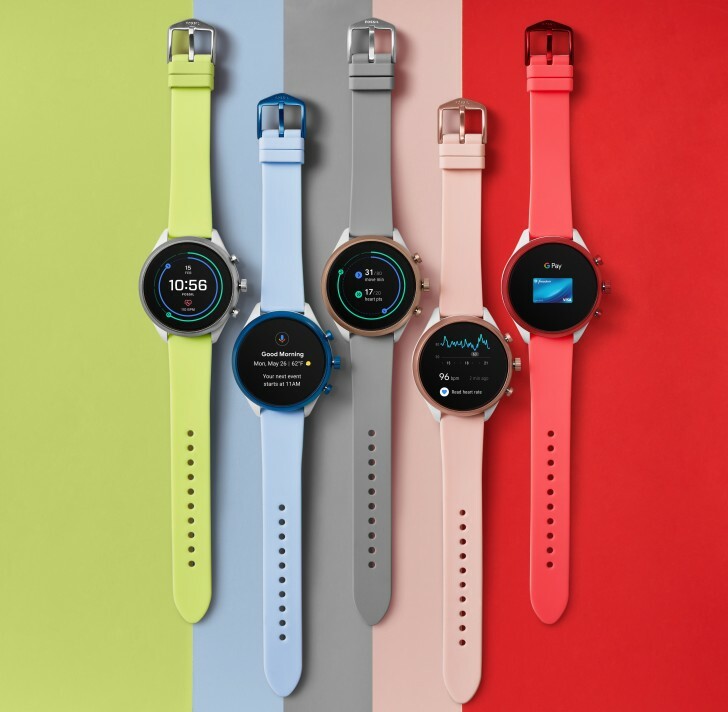 The Fossil Sport also has NFC for mobile payments, a built-in heart rate monitor, and GPS, There’s also an altimeter, ambient light sensor, mic and speaker for calls. If you find yourself in New York City this weekend, Fossil will be holding a pop-up shop for the Fossil Sport where you can purchase the Fossil Sport for $255 between November 9 and 11 from 10AM to 7PM. The shop is located at 138 Wooster Street in SoHo. The Fossil Watch becomes officially available on Fossil’s website starting today, November 8 and will b e available in select Fossil retail stores around the globe on November 12.